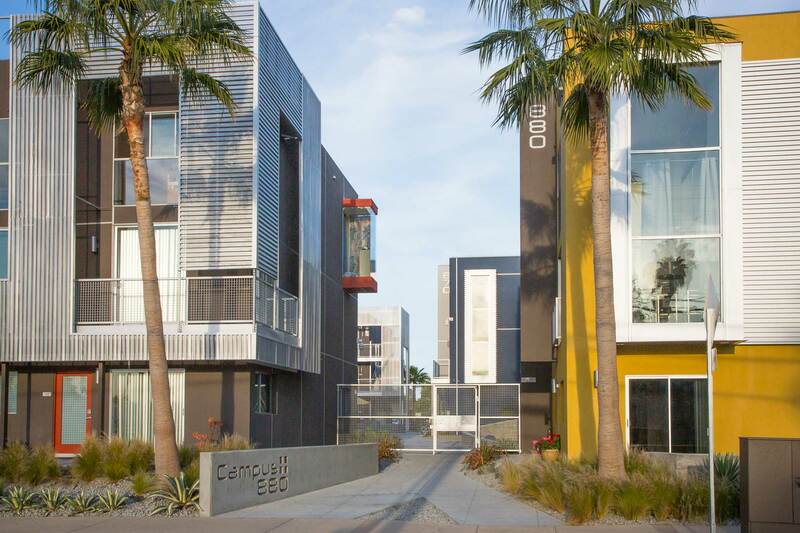 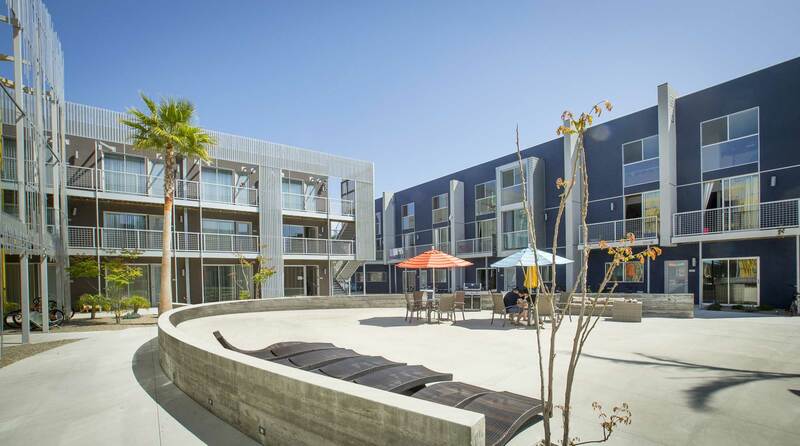 The largest private development in Isla Vista provides 56 units and 106 bedrooms of new, energy efficient, high quality rental housing in 52,700 square feet. 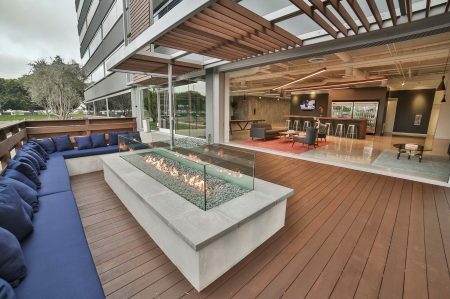 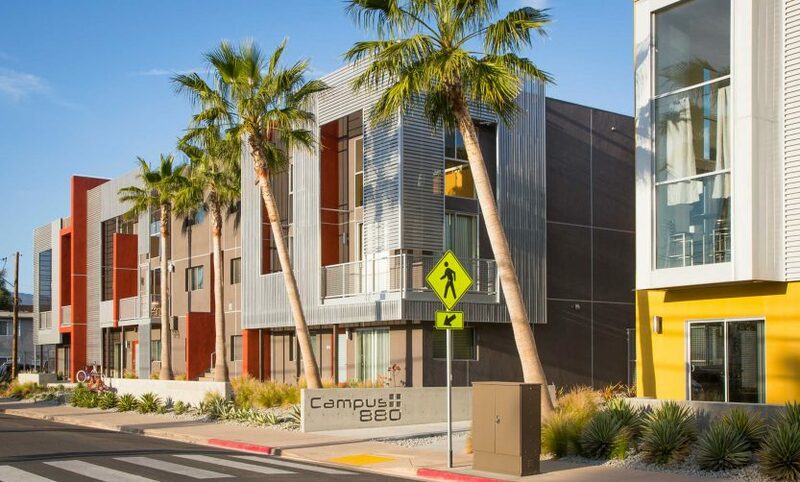 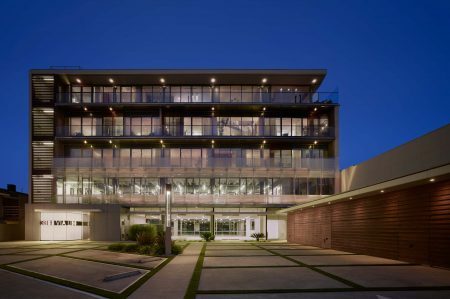 As the largest private development in Isla Vista in more than 40 years, Ed St. George and Associate’s building at 870 Camino del Sur provides 56 units and 106 bedrooms of new, energy efficient, high quality rental housing in 52,700 square feet. 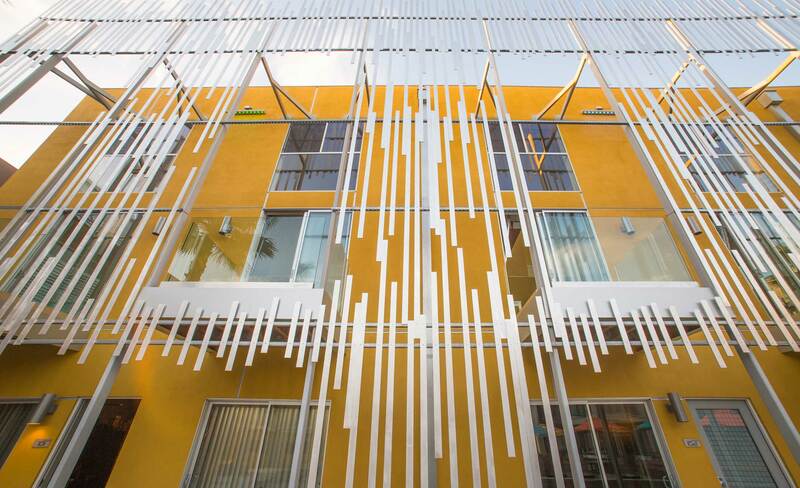 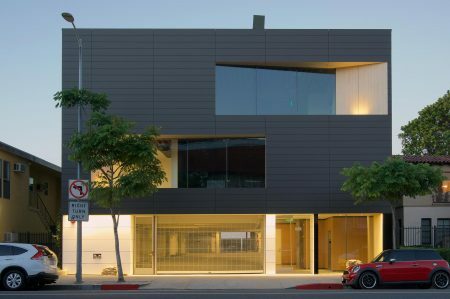 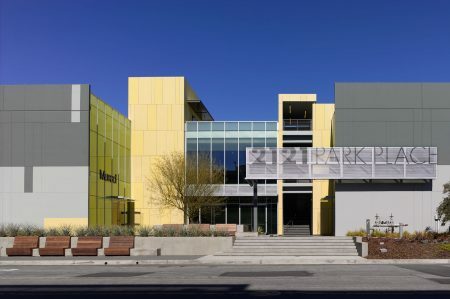 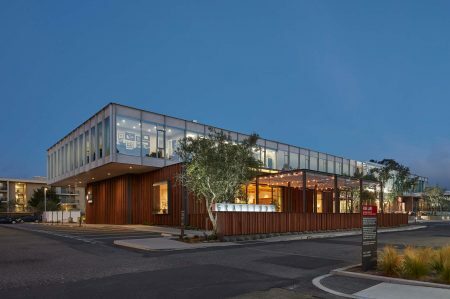 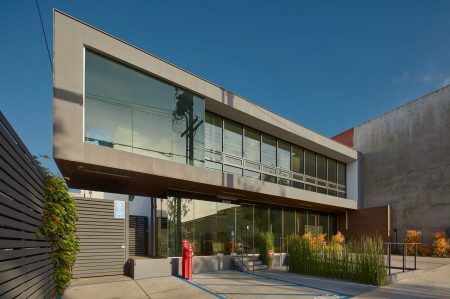 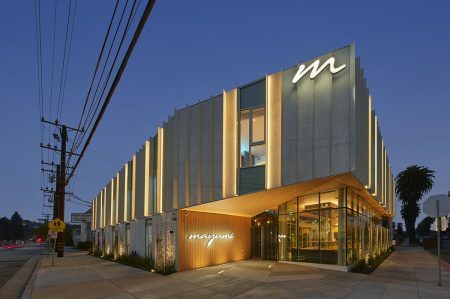 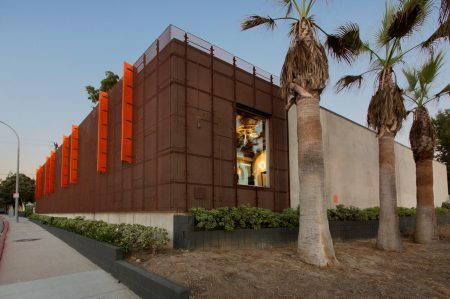 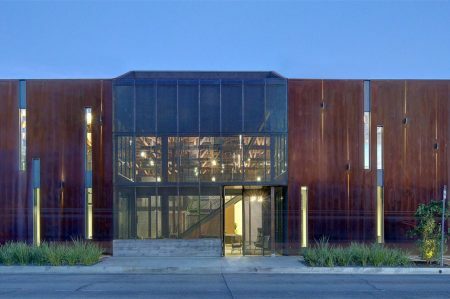 The design incorporates numerous innovative sustainable features, including a perforated metal skin that shades the building façades, energy efficient LED exterior lighting, permeable gravel parking lots, rental discounts to hybrid vehicle owners, a four vehicle car sharing service, and an owner-sponsored pilot program to eliminate the utility bills of tenants that reduce their energy use. 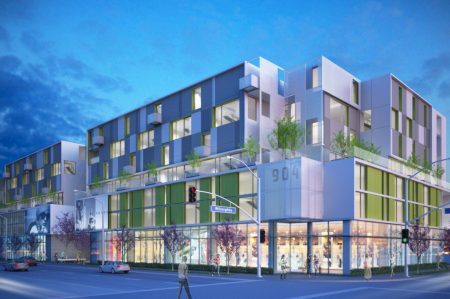 The project consists of eighteen 550 SF one-bedroom, twenty seven 950 SF two-bedroom, and eleven 1,050 SF three-bedroom units. 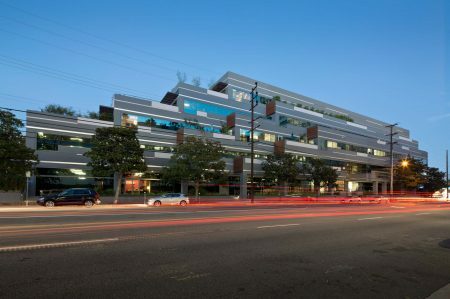 These units would be divided amongst five buildings enclosing a central courtyard open space area. 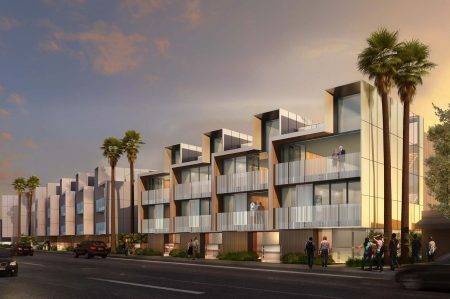 There are a number of building types, including at-grade three-bedroom units with two-bedroom townhouse style units above; and three stories of stacked one-bedroom flats. 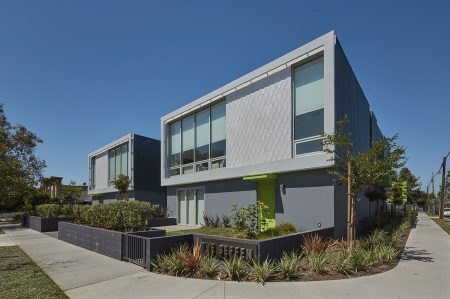 All at-grade units would be ADA adaptable. 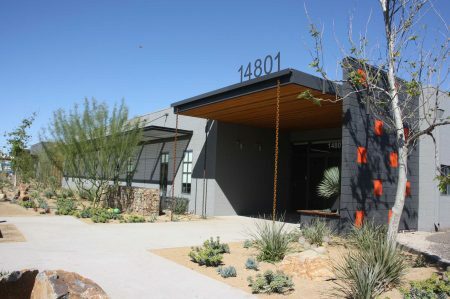 A 2,400 square foot space is to be provided for the use of the adjacent Korean United Methodist Church. 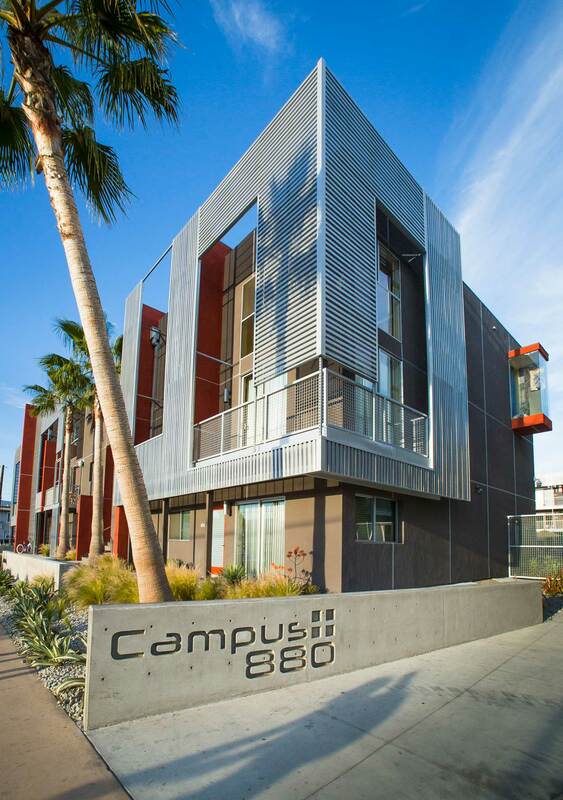 Ten units (calculated as 25% of base density) shall be designated as affordable at 60% Area Median Income (AMI). 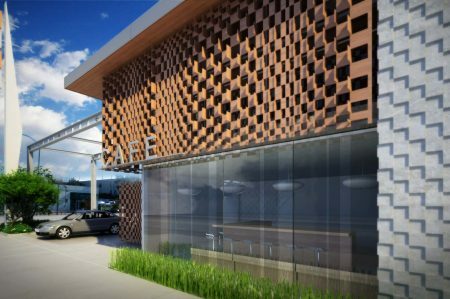 Parking for 146 cars and 212 bicycles is provided, including an area of covered bicycle parking.